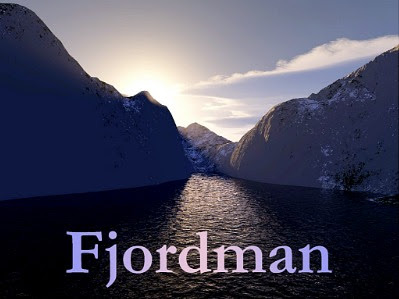 FJORDMAN REPORT: TWILIGHT OR DAWN…….? – The Tundra Tabloids……. FJORDMAN REPORT: TWILIGHT OR DAWN…….? First published at the Gates of Vienna. All civilizations go through strong and weak phases, and some of them fall. But no civilization in history exploded on a global scale within the space of a single century as modern Europe has done. The European percentage of the world’s population has plummeted within the same period of time. Native Europeans are currently being displaced at a breathtaking pace in their own homelands, at least in the western half of the Continent. Western authorities and ruling elites are not very concerned about this fact, however. They are too busy worrying about carbon dioxide and what the weather will be like in the year 2089. A century ago, European scientists had established the physical reality of atoms and molecules and were working out the inner structure of the atom itself. Innovative underground railways such as the London Tube or the Paris Metro were being copied elsewhere, from Budapest and Berlin to New York City and Moscow. With trams, trains, cars, motorcycles and buses, European inventions changed the face of every major city in the world. Europe was more powerful than any single previous civilization had ever been in the history of mankind, and the first one to have a truly global impact. Other nations respected and sometimes feared European power and dynamism. One hundred years later, Muslims and others prey upon European weakness, while Asians and Americans fear that the escalating debt crisis in Europe could drag down their own economies. From being the unquestioned center of the world economy, serious observers now question whether European civilization will even survive the twenty-first century in recognizable form. Conditions are such that the respected historian Walter Laqueur can publish a book with the title The Last Days of Europe: Epitaph for an Old Continent. Western Civilization will most likely enter a period of great turbulence in the near future and will probably not exist in its present form by the second half of this century. However, just as the optimists underestimated the calamities witnessed during the twentieth century that severely weakened European civilization, the pessimists today may underestimate the reservoirs of strength that still exist in the same civilization. Europe has ancient roots that are not yet fully uprooted. Rebirths are messy affairs, and the European ones especially so. Perhaps out of the current troubles, a new era of European culture will dawn, a new European Renaissance. Next Post Next Post SATELLITE PICTURE TELLS TALE OF TWO KOREAS……..
Watch live: Tens of thousands attend Birkat Kohanim Tens of thousands of Jews from Israel and abroad attend Birkat Kohanim event at Western Wall. Report: Yisrael Beytenu in talks for merger with Likud Arutz Sheva Staff ,	Yesterday, 10:38 PM Is Yisrael Beytenu on the verge of joining with the Likud? Likud leaders say talks progressing - but will hinge on Liberman's demands. 'Arab leaders pressuring Palestinians to accept Trump plan' Despite PA opposition, Arab world, especially Saudis, pressuring PA leaders to accept US peace plan, says Fatah leader.